The Canadian Commission on Building and Fire Codes (CCBFC) would like to invite your organization and its members—as important stakeholders in the development of the National Model Construction Codes—to take part in the fall 2014 public review of proposed changes to the 2010 National Model Construction Codes. The National Model Construction Codes, comprising the National Building, Fire, Plumbing and Energy Codes, are model codes developed by the CCBFC that the provinces and territories can adopt as is, or with modifications, as part of their building, fire and plumbing regulations. The public review is one of the principal steps in the process for updating national code documents, providing a nation-wide forum where anyone can review and comment on the changes proposed. Following the review, CCBFC Standing Committees will consider all comments and make final recommendations on each proposed change. Subject to approval by the CCBFC, the final changes will be published by NRC in the 2015 editions of the National Model Construction Codes. The public review will run from September 8 until October 31, 2014 on the Public Review page of the NRC Web site. The CCBFC wishes to thank your organization and its membership for contributing to the development of Canada’s National Model Construction Codes. Explore and view some of the greatest examples of modern architecture in Vancouver on this self-guided driving tour. It is a fantastic, fun-filled day of local sight-seeing and open-house-style visits for anyone who loves architecture, interior design, real estate, or simply checking out “that cool house I always drive by…” Participating homeowners get to show off their cool, modern dwellings to neighbors for a day, and the participating local architects get a day in the spotlight during this city-wide gallery of their work. Everyone is invited — kids under 12 are FREE. Seven amazing homes are on this year’s tour roster – four homes in Vancouver and three more in West Vancouver. Read descriptions of each home, see photos and register for the tour here. Architectural photography not only documents our built worlds, but the very best will reveal something more about the societies in which they are taken. When Nicéphore Niépce took what is thought to be the first ever photograph in 1826 or 1827, the long exposure time meant the Frenchman needed a static subject that wouldn’t blow in the wind or get the giggles. So he took a picture of a building. Since then, there has been a long tradition of architectural photography. Not only can the medium document our built worlds, but the very best will reveal something more about the societies in which they are taken, as well as what those societies are becoming. It is, however, one of the more obscure genres. While others, such as wildlife, portrait, war and fashion are the subject of numerous shows, architectural photography remains a somewhat niche subject. 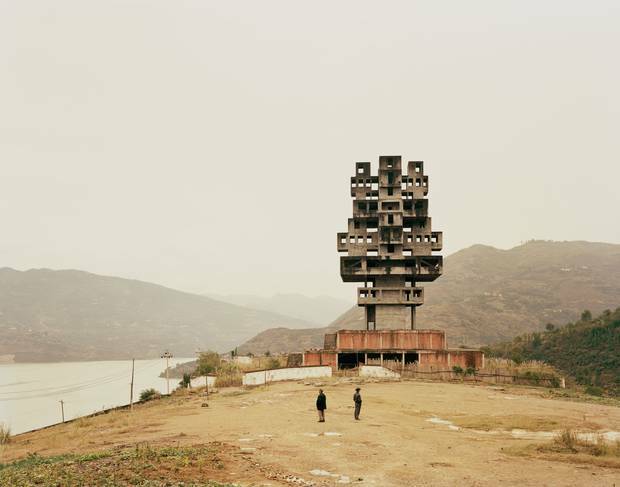 Later this month, the Barbican Art Gallery at London’s Barbican Centre will host Constructing Worlds: Photography and Architecture in the Modern Age, the first exhibition of its kind in the UK. Alona Pardo, who curated the exhibition along with Elias Redstone, agrees that the genre is not widely discussed, which has led to misinterpretation in the past.